Looking forward to spending the holidays with your Sims family? 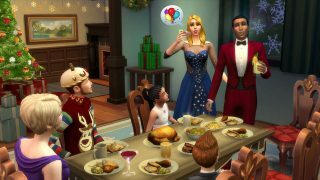 Good news: we’ve updated the free Holiday Celebration Pack* for The Sims 4. Joining the decorations and outfits we released last year are some brand new items! 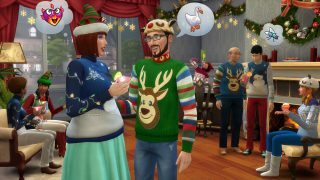 There are new snowflake decals, a lighted tree, piles of presents, a tree centerpiece, and new formal outfits that are perfect for wearing to holiday parties. 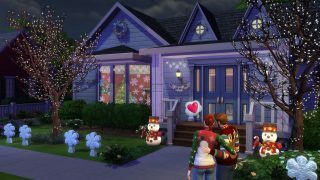 If you already downloaded the Holiday Celebration Pack, you’ll find the new content waiting for you the next time you boot up The Sims 4. Otherwise, you can add it to your game for free*. All of the items included in the pack originally are still there, too. There’s a Menorah, Kinara, Snowman Lawn Ornament, Christmas Tree, Christmas Lights, Kwanza Painting, Wreath, Holiday Wall Speaker, and plenty more, including festively ugly sweaters, and winter-themed décor items. 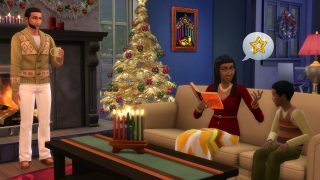 Happy holidays, everyone – and be sure to send us pictures of your Sims celebrating the holiday season on Twitter and Instagram! Looking for more information on The Sims 4? Learn how to make cool basements in the game, and find out how to customize your own Club in The Sims 4 Get Together.